This week we bring you a drink one of our fans sent us via our newsletter. Thank you to Artemis Page for the recipe and pic. Love the drink and hope you guys enjoy. As always, we ask that you drink responsibly and NEVER drink and drive!! Club soda, or my personal favorite Sierra Mist Soda (as it adds to the citrus taste). 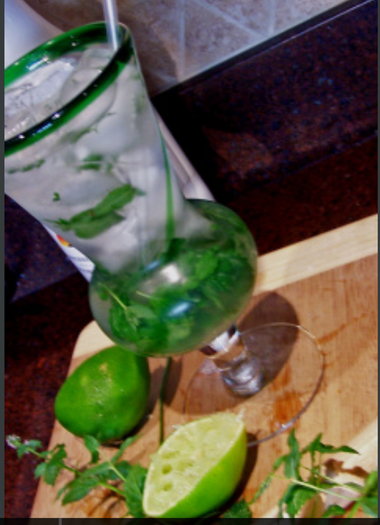 In a large pitcher muddle (smash) the mint leaves and sugar, add in the lemon and lime juices and mix thoroughly. Add in the Malibu Coconut Rum and refrigerate, or preferably start with all the liquid ingredients cold so you can serve immediately (I'm impatient, lol).